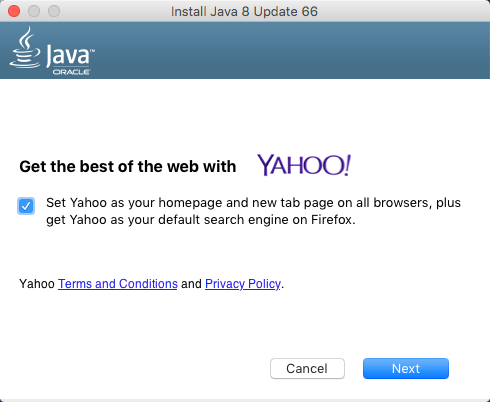 How do I install latest Java update direct from website w/ no other programs? 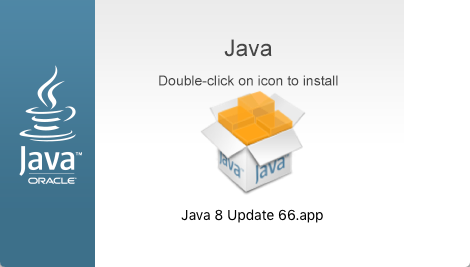 I've downloaded the Java 8 Update 66 directly from http://www.java.com/en/download/mac_download.jsp and uncheck the other option to install additional software. 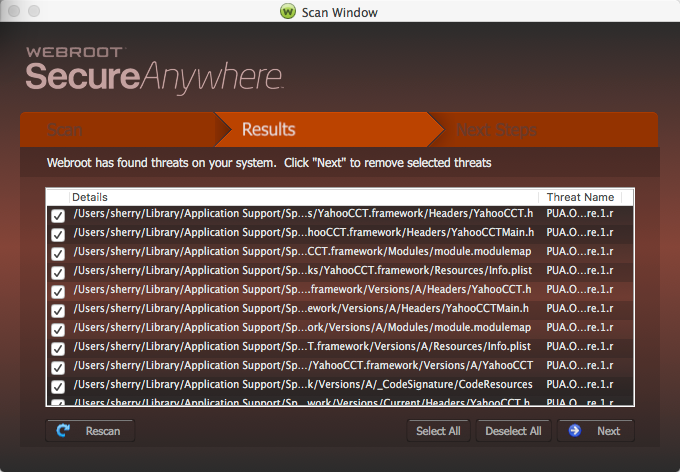 Webroot thinks it is a virus and puts most if not all of the files in threat status and I can't allow them. I am running OS X El Capitan 10.11.2. Thanks in advance for any help or advice. I have El Capitan as well. 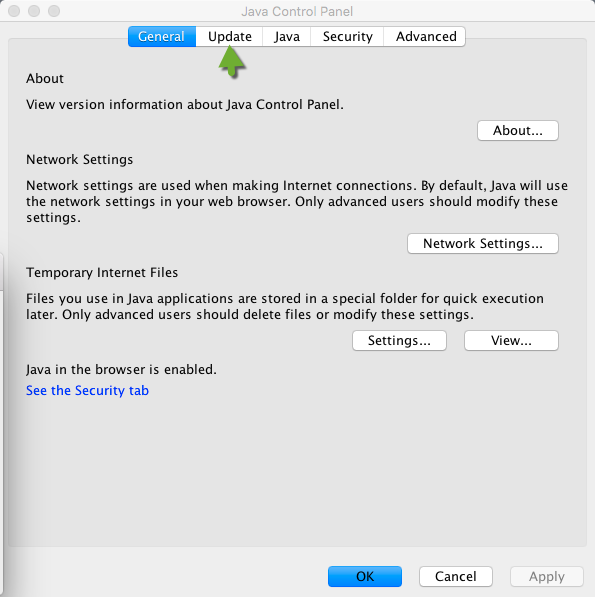 Can you go into System Preferences ( right click on the Apple in the left hand upper corner, or on the Genious bar .and click on the Java program and Java opens and then you click update. 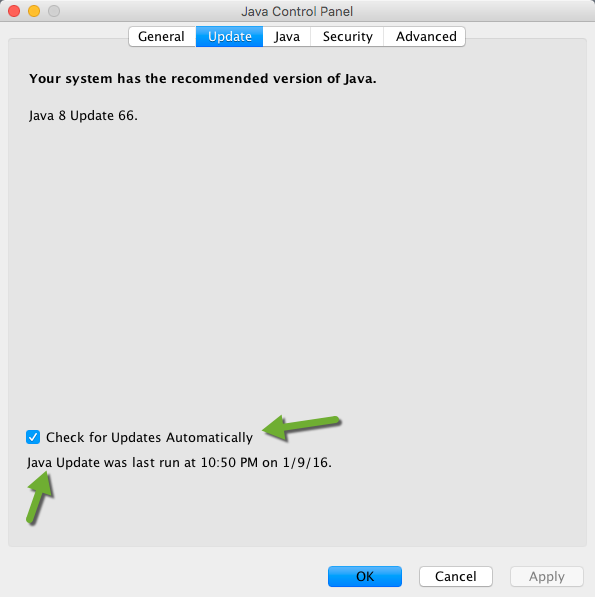 My version of Java has been updated to Java 8 update 66 automatically. Can you see if you have Java installed already? I clicked on that link and I got the same threats. So I will ping ? our Mac Threat Reseacher and see what he saids about this. I checked with Bright Cloud and it doesn't show your link as a threat. But hang in there until Wanderingbug checks this out. You're a genius! Thank you - mine already had the update also. That was easy wasn't it? Happy to know this was sorted for you! What did the detection come up as? 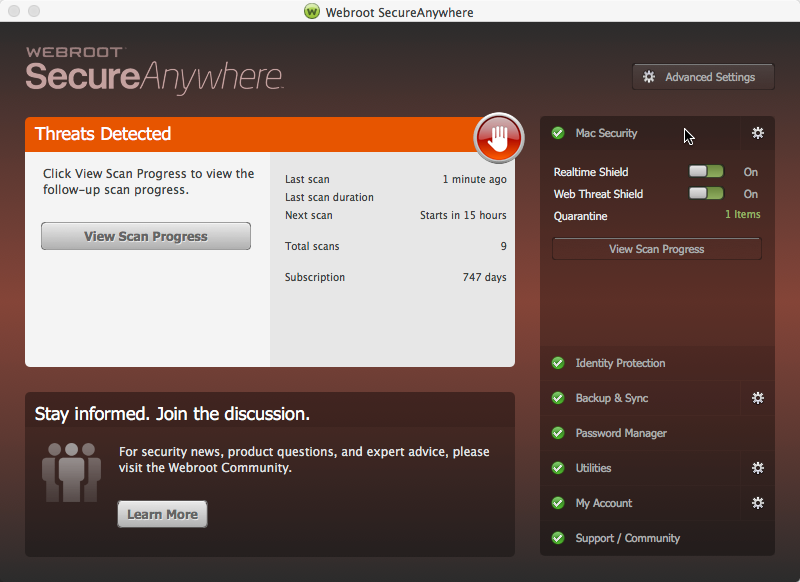 I am curious if they are bundling adware in it now. Here is what I have got from trying to install this Java update.. I went to install again and saw this window popup for the first time..so is this our culprit? I've installed 3 times and this was the first time it popped up. I swear it! So i found what is causing the detection. 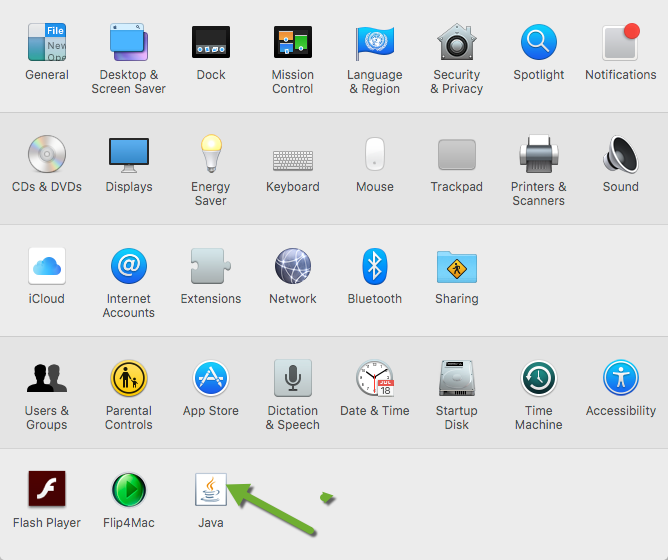 Java is installing a framework in the users application support folder even if you dont run the installer. I opened the package and it installed files even though i dont want it too. 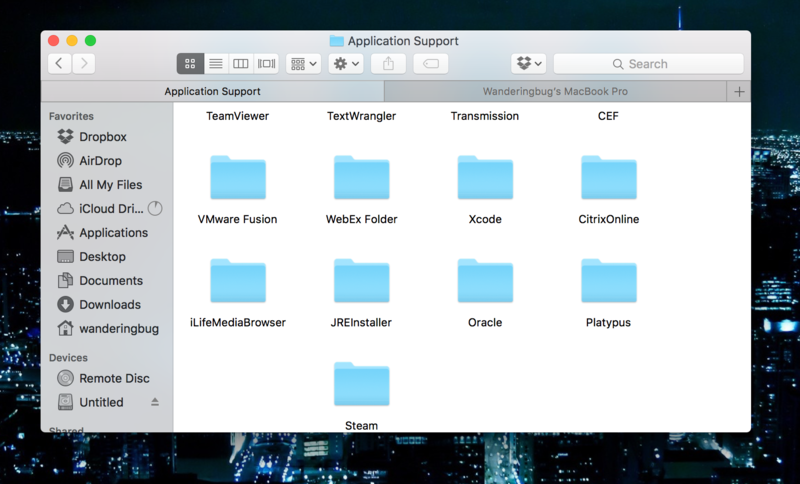 The file is in ~/Library/Applications Support/Sponsors.framework. Inside this framework is where yahoo stores all of its adserver info. We have created a way to block that framework but still allow Java to run. 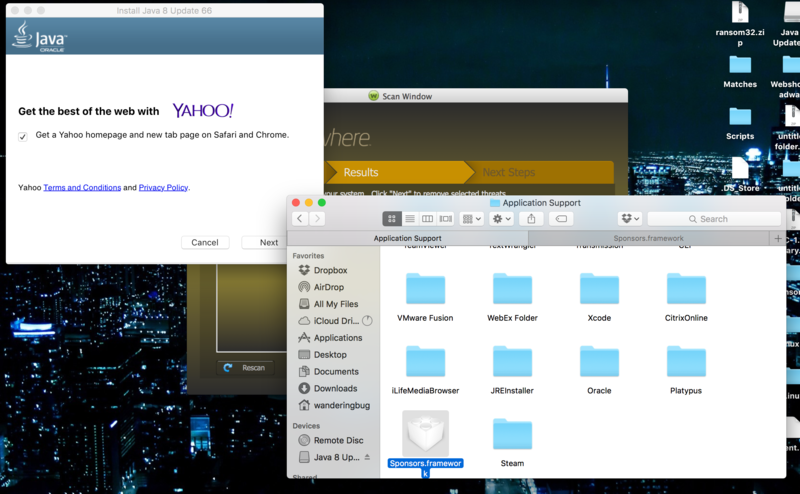 I didnt run the installer but as you can see it tried to install the framework anyway. So do I need to trash that installed? I would just update from the Mac settings and not use the download page on Java, however if you did use it then just let Webroot do the clean up and it should remove the framework. If you already allowed it then just drag it to the trash and empty it. You need to upgrade to a new iMac. The new ones scan in 10 minutes. Oh I will sooner or later. 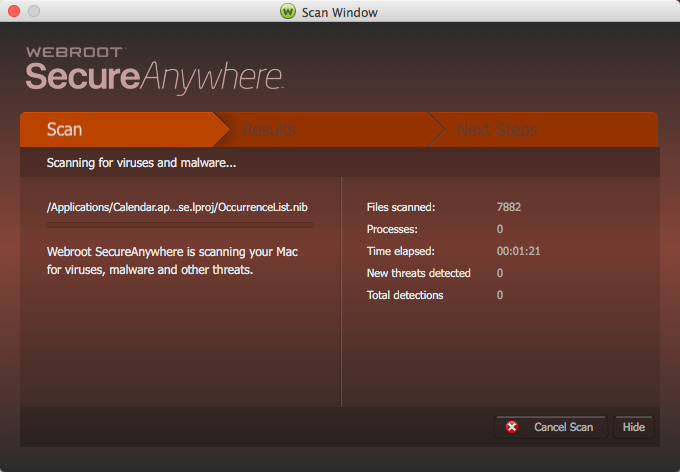 My iMac scans slower too, so i use my Macbook more. now the imac is for research only. Great work ? at solving it. That's all I do :robotwink: I just look at software all day to see what it does and if it does something that I dont like then I kill it. Its pretty nice, lol. I put my headphones on and tear software apart lol. Im going to have to pass... I love what I do. Its pretty fun seeing how everyone codes their software. You can tell alot by what they encrypt and what they leave open for everyone to see.